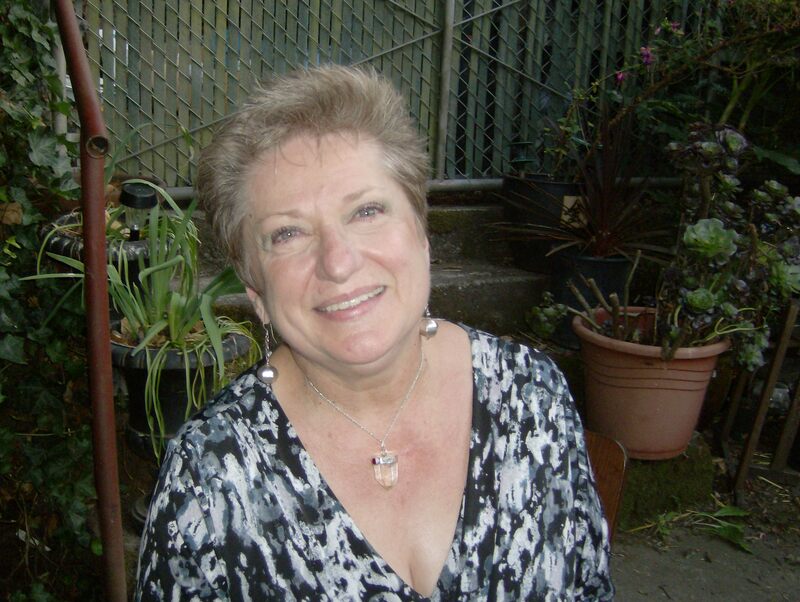 I was born with my psychic gift and told people things I had no way of knowing since I was able to talk. (You can imagine how many times I embarrassed my mother.) I presently have thirty three years of experience as a professional reader. My clients confirm I have an extremely high accuracy rate. Although I am not a sweet person who will tell you what you want to hear, I am compassionate and patient with a very strong ethical code. I will tell you the truth of what I see, but will not leave you sitting with a "negative", I will see what can be done to change or mitigate its effects. I am not a "fatalist", if all future events were unavoidable, I would not be in this profession. There is no use knowing the future if you can do nothing to change it. 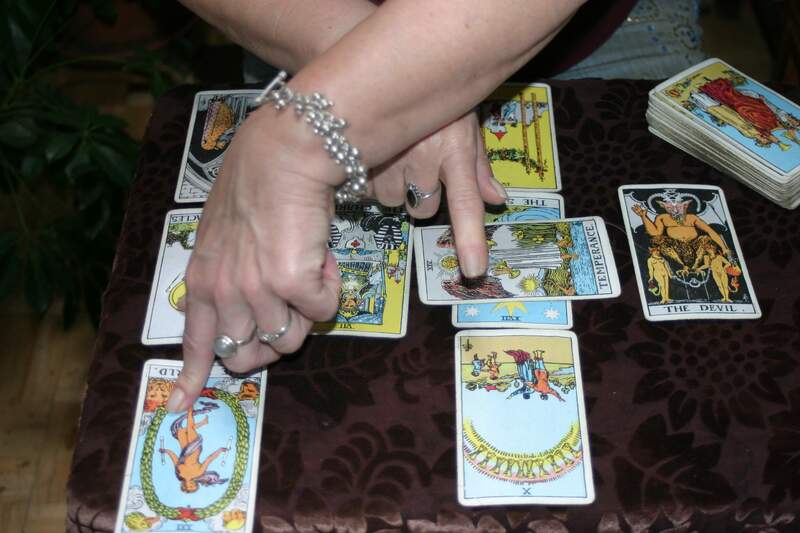 I have studied the psychic sciences of Tarot, Palmistry, and Numerology. These three disciplines are ways to give structure to my psychic readings and assist in the maintenance of my complete objectivity. Although I am extremely spiritual, I am very earthy as well, and my readings are given in no-nonsense, down to earth language. I always say I give "psychically inspired practical advice". My purpose is to empower you to take charge of your life and achieve your goals. After thirty three years I still love, and am fascinated by, what I do. I am also clear that I am a "radio", my insights come through me and not from me. I totally believe in a higher power (God if you will) and was gifted by an ability to tune into, and transmit, information contained in the cosmic plane. I do believe a psychic should not only have high accuracy but should be compassionate, sincere and free of life style judgments as well. Most of all he/she should not be overly impressed by their own abilities. I am presently teaching courses in Tarot, Palmistry and Numerology out of the “Center for Sacred Studies” n Guerneville, Ca. In July, possibly sooner, I will be offering these ten week courses on line. I will also be offering three hour on-line work-shops in Palmistry and Numerology, along with on-line (web cam/skype) readings. Please feel free to email or phone for additional information or appointments. 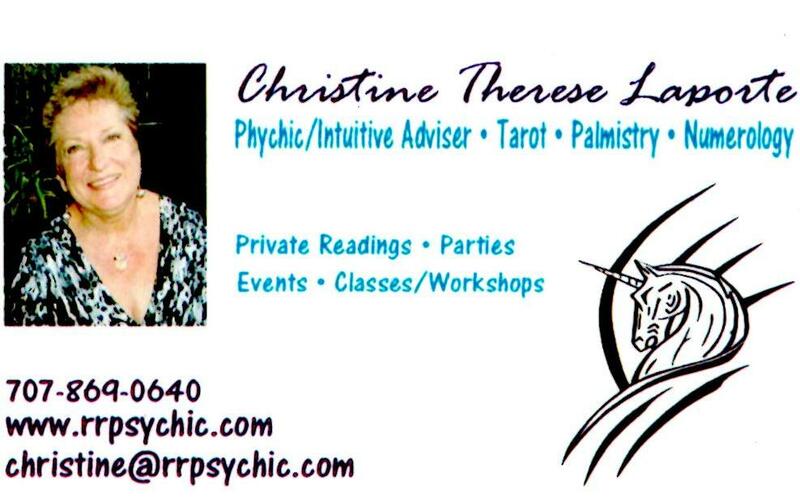 My hourly rates are reasonable and I do accept appointments for half hour readings in Tarot and Palmistry. I accept cash or checks for "in person" readings; Pay-Pal, Money Orders or Visa ,MasterCard, American Express or Discover Cards are preferred for telephone readings. Please remember that Numerology charts require the name on your birth certificate (not married or adopted name) as well as birth date. Birth time is not required for a numerological reading or chart. Once I am set up to offer on-line web-cam readings I will be able to offer on line Palmistry. Palmistry can be a phone reading as long as you send scans or photo copies. See the Palmistry page for details. Who Should You Trust For Guidance? Be aware of unethical psychics as you browse the Internet or visit in person. Examples of warning signs include outrageous claims by an online reader, predictions by an astrologer, psychic or tarot reader that ignore your free will, attempting to make you dependent upon the reader or readings, and online readers who attempt to control you or your money. Note: All l inks on these pages will open in a new window. If you disallow pop-ups simply right click on the link and "open in a new window." There are no pop-up ads on my website and allowing pop-up's on these pages will not compromise your computer system. Feel free to read the source code to be sure. We recommend that you remain site specific. This document may not be copied in part or full without express written permission.